Hello Ladies! First of all, thank you for making all these beautiful projects for me week after week. I've been busy working on the new shop and finally it's done!! 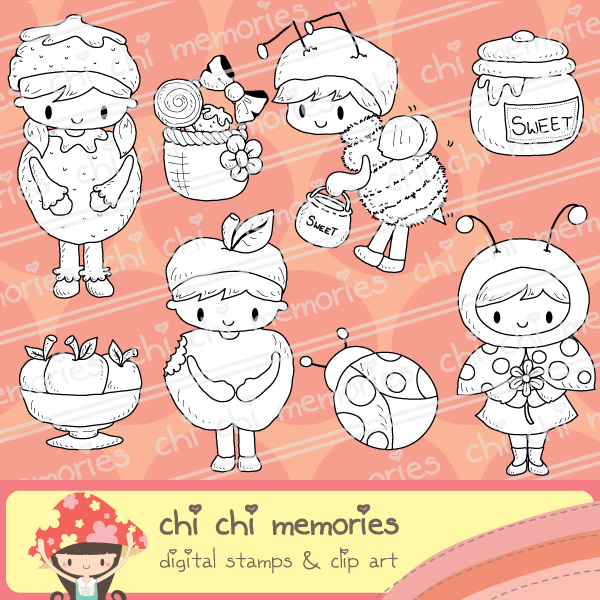 If you go to http://www.chichimemories.com , you will see the new look of the shop! Please spend few minutes to go through the website again and you will know better how everything looks like now. 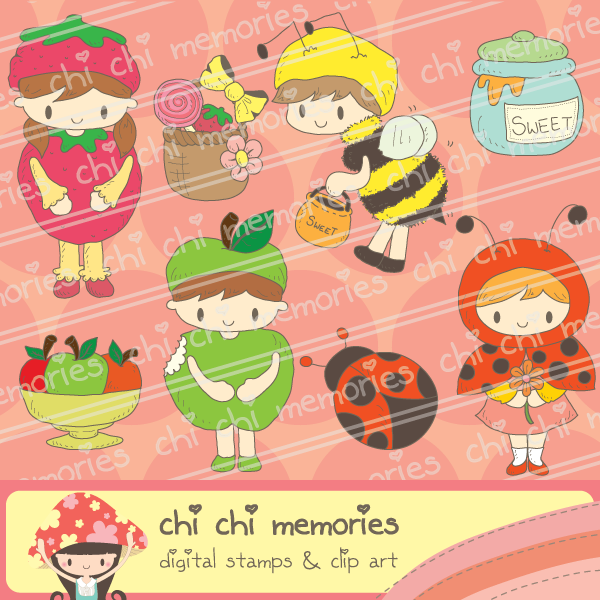 Here's the new set of stamps. These kids are in costumes because Halloween will be coming up next. I don't want to make them to wear vampire suit... witch suit because I want customers to be able to use these stamps for other purposes too.